This colorful art print is a psychedelic pop art portrait of my sister at the Walnut Valley Music Festival in Kansas. 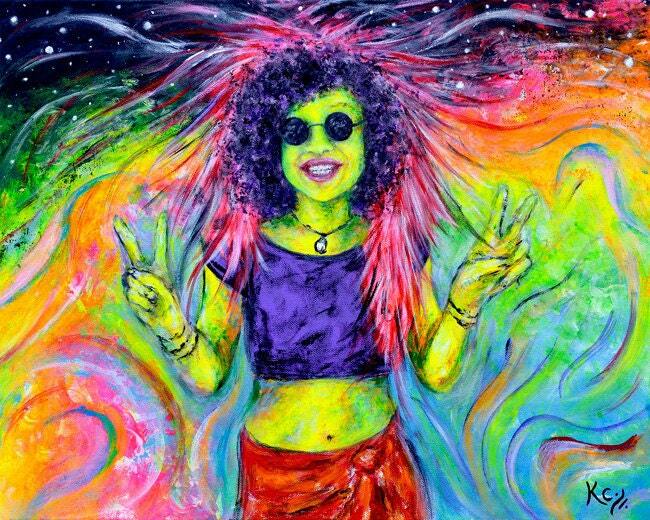 This artwork depicts a woman wearing sunglasses with curly natural hair and a huge smile making piece signs with her hands. This pop art style print has psychedelic rainbow colors. It is a handmade giclee fine art print of my pop art style painting entitled Psychedelic Sister in the Walnut Valley. 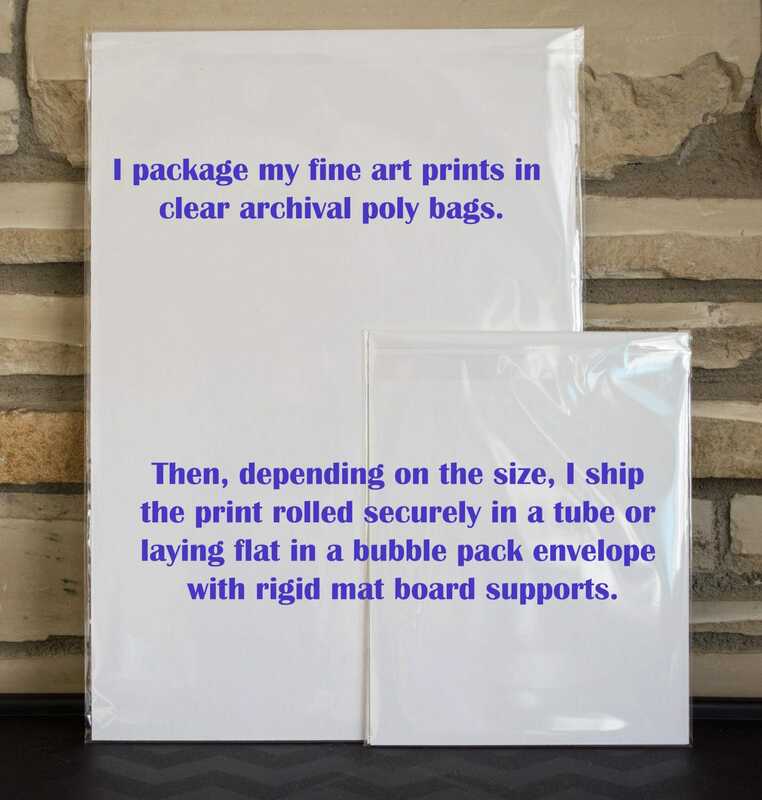 Size of Paper: 8.5" x 11" or 13" x 19"
It is EASY to find a frame for this art print!! 8.5" x 11" or 13" x 19" frames can be found online and in stores like Hobby Lobby or Michael's. There is a thin white border around the image, so no matting is necessary. Simply place the paper print in the frame.